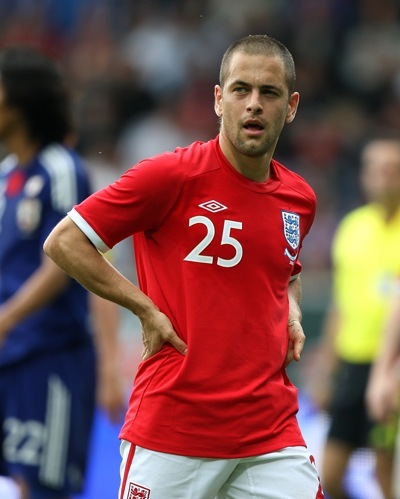 Is Joe Cole Going To Arsenal Or Tottenham? So Joe Cole has been booted out of Chelsea (along with Michael Ballack). Carlo Ancelotti just didn’t fancy him. From everything I’ve heard, it looks like a straight fight between Arsenal and Tottenham to sign Cole before the start of next season, with Man City and Man Utd also interested parties – though I understand Cole would like to remain in London. As such, there’s a very slim chance Messrs Sullivan and Gold will tempt him back to the Boleyn. As a Spurs fan, I’d love to have Cole in our squad, as long as we don’t have to shell out more than £80k a week for the privilege. He’s looked sharp for England in South Africa and at 28 he should have several more good years left in him. Also, he just doesn’t seem like a typical Wenger signing (too old and expensive), but then I never thought Arsene would have re-signed Sol Campbell, so who knows. Where do you think Joe will end up? I reckon Arry Redknapp will persuade him to move to the Lane, because that’s what Arry is very good at. Which team do you think Joe Cole is going to join? Check out Freebets.com where you find all you need to place your winning bet! Proof once again that Gooners are more web literate. Come on you Spurs, get voting! you know wat im an arsenal fan and taking my red specs off i actually think joe would be suited to spurs they have made good progress under old twicher and finally we can have a rivalry again any way put club footie on the back burner and get behind ENGLAND who cares who you support now!!!! WE ARE ALL ENGLISH C,ON ENGLAND!!!!!!!!!!!!!!!!!! Love to see him back at West Ham, unfortunately the Davids haven’t made any fuss over a possible move. I’ve seen some reports around stating he’s agreed a deal with the gunners subject to a medical after the world cup. I really hope its true. At first i thought utd or spurs had the best chances of wrapping him up but it seems to be arsenal if one were to go with popular belief as portrayed by the press.